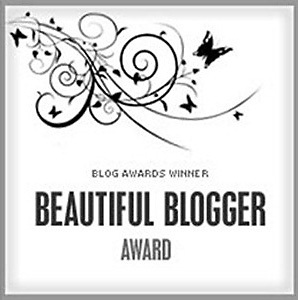 I was nominated for the Beautiful Blogger Award by Connie from Foodessen and Joanna from the Food Gurly awhile ago, but I haven’t had a chance to write this post. The rules for this award are to nominate 5-7 bloggers and to write a description about their blogs. Connie from Idyllwild Designs Blog – this blog is filled with tons of DIY projects and recipes as well as features products from her online store. Havens from Skinny Sweet Treats – this blog has lots of healthy recipes. If you’re looking for a healthy version of your favorite food, snacks, and desserts, this is the blog to visit. Shae from Hello Homebody – I love this blog because you can find everything from recipes to DIY projects. I can always find something new that I want to try on this blog. Healthy Lifestyle Pursuit – I love this blog because there are so many healthy recipes. There’s even a section just for chocolate! Wendan from Laundry on Sunday – Her blog chronicles her adventures with dental school as well as visits to restaurants. I especially love her DIY section. This entry was posted in Awards and tagged blogger award. Congrats!!! Have a good weekend! Thank you! Have a great weekend too, Diana!